Is it possible to be nostalgic after a mere a week out of Utah? Writing this column makes me feel like it is possible. Since I’ve been here in New York, I’ve read entirely through Steve’s copy of Weird New York, planned a trip to see the Cardiff Giant, visit Lily Dale, the largest Spiritualist community in the world, etc. And while I am convinced my new state of residence (as well as every other area) has its own special esoteric oddities, I am equally certain that to appreciate them in their fullness—to really ‘get it’ on every level-- one must be steeped in the land, be sunken into the culture like a shipwreck. Like I was in Utah. Now, I present the last four of my Seven Fortean Wonders of Utah, and some runners-up and notables. I have been surprised at how inseparable Utah and Mormonism legends and esoterica seem to be, which ironically may be no surprise at all to outsiders; I know the two things do go largely hand in hand. So, some of the runner-up Forteana is purely Mormonana—I decided to just give into the intertwinedness of it rather than to exclude anything from the list—after all it’s my list. You can check out the first three wonders in the 3.21.8 edition of Medusa's Ladder here. It seems lake monsters are all over the place, and Utah is no exception. During the mid and late nineteenth century, reports and ‘true’ tales of lake monsters were recounted in local newspapers. It seems most major lakes of Deseret were home to a mysterious aquatic creature, including The Great Salt Lake, Fish Lake, Utah Lake, and Sevier Lake. "The Indians have a tradition concerning a strange, serpent-like creature inhabiting the waters of Bear Lake, which they say carried off some of their braves many moons ago. Since then, they will not sleep close to the lake. Neither will they swim in it, nor let their squaws and papooses bathe in it. Now, it seems this water devil, as the Indians called it, has again made an appearance. A number of our white settlers declare they have seen it with their own eyes." The story goes on to relate specific instances of sightings with descriptions of the creature (large, serpentine brown body, long neck, strange head, etc.) More curiously perhaps, is that every now and then there are contemporary sightings of the monster. Some of the touristy souvenir shops along the lake even sell Bear Lake Monster merchandise. One strange thing of note with this particular lake monster—it lacks an endearing name. There’s no term like Champ or Nessie to denote any real identity or individuality—perhaps it’s due to non-belief? 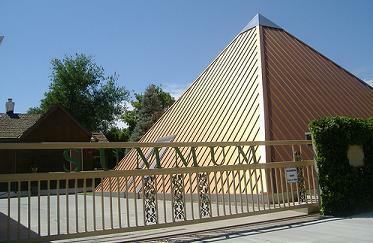 The pyramid is open to the public on Thursdays, and is located at 707 Genessee Street, a couple blocks south of the huge white grain elevator at Welfare Square. Although the activity at the Skinwalker Ranch in eastern Utah is fairly recent, it has become so famous and legendary, and so ripe with every sort of phenomena that I feel it deserves a place on the list. It has about everything: a magical bigfoot, interdimensional vortexes, UFOs, aliens, ghosts, cryptids, and general high strangeness of all kind. Check out George Knapp and Colm Kelleher’s fabulous book The Hunt for the Skinwalker for the full story. 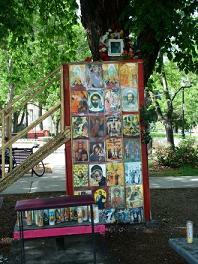 There’s a special tree near downtown Salt Lake City—featuring the image of the Virgin Mary. When first appearing over a decade ago, the hullaballo around the image of La Virgen de Guadalupe was incredible. There is now a formal shrine erected, and is always open and easily accessible to the public. There have been vague rumors and stories telling of the tree’s ‘vandalism’—however, I believe the image has morphed over the years from liquid constantly oozing over the surface, and countless fingers touching it. Amazingly, there is now an image that looks eerily close to that of a classic Madonna and Child icon, opposed to the old Guadalupe image. The transformation seems to have gone unnoticed, but I stick by it. I wrote a full article about it that can be read here. The Liahona, The Tunnels under the temple and the-now-torn-down Crossroads Plaza (reptilian conspiracies, et. al.) Mystery Hill at City Creek Canyon, haunted places: Shilo Inn, Union Station, Capitol Theater, Deseret Village, Ogden Theater. The sublime Salt Lake Cemetery, featuring the graves of Lilly E. Gray ‘Victim of the Beast 666’, the supposedly devil-worshipping Emo, Hiram Beebe (possibly the Sundance Kid) The Christmas Box angel statue. Utah just seems a very Fortean place—or at the least, very eccentric-- even on a casual level. 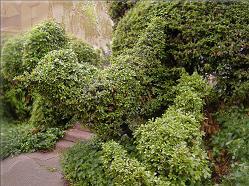 For example, on Halloween in Salt Lake’s avenues, we trick-or-treated both at a former residence of Ted Bundy, and Jan Harold Brunvand’s (the father of the urban legend) house (who had huge hedges carved like birds.) And that was just on my street. I’ll miss that.